Inspector Salvo Montalbano, with his compelling mix of humor, cynicism, and compassion, has been compared to Georges Simenon's, Dashiel Hammett's, and Raymond Chandler's legendary detectives. Inspector Salvo Montalbano could immediately tell that it was not going to be his day the moment he opened the shutters of his bedroom window. It was still night, at least an hour before sunrise, but the darkness was already lifting, enough to reveal a sky covered by heavy rain clouds and, beyond the light strip of beach, a sea that looked like a Pekingese dog. Ever since a tiny dog of that breed, all decked out in ribbons, had bitten painfully into his calf after a furious fit of hacking that passed for barking, Montalbano saw the sea this way whenever it was whipped up by crisp, cold gusts into thousands of little waves capped by ridiculous plumes of froth. His mood darkened, especially considering that an unpleasant obligation awaited him that morning. He had to attend a funeral. With his eye for beautiful women, his taste for fine literature and a tendency to stop in his tracks to indulge in a meal, the idiosyncratic Montalbano is totally endearing. But he's also a shrewd tactician and a very sensitive man, capable of listening with rapture to a private violin concerto played by a disfigured recluse -- no colorful throwaway scene, but a key piece of the plot. 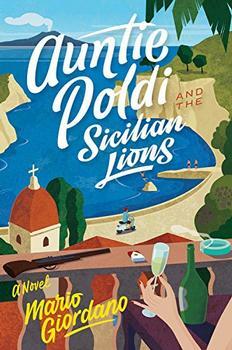 Stephen Sartarelli's light touch with the translation captures the sunny humor of Camilleri's idiomatic Sicilian dialect, even as it conveys the darker nuances of this complicated region. Through this deft translation, Camilleri's tale of lust, greed and hidden beauty should win new American readers. A dearth of evidence and an abundance of fools confound Sicilian sleuth Salvo Montalbano.... Camilleri has ample opportunity to showcase Montalbano's droll misanthropy in his shaggiest adventure to date. Just last year, when the first Inspector Montalbano mystery (The Shape of Water) made its belated appearance in the U.S., we asked that the translations keep coming--and quickly. Our wish has been granted....If you like the Italian crime novel, you'll love this series. Smooth prose adeptly translated carries the reader into the often-comic world of Sicilian police procedure. Strongly recommended for fans of police procedurals and international mysteries.